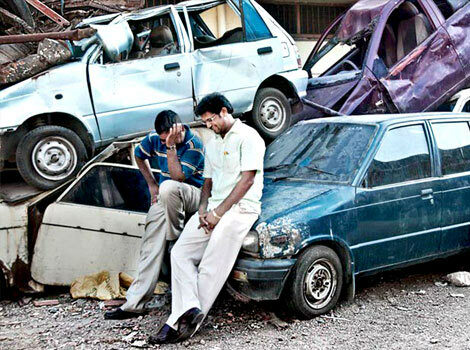 Maverick filmmaker Anurag Kashyap has called it the most brilliant film to be made in India in decades. Veteran director Shyam Benegal has hailed it as a rare film that engages your mind, emotions and senses in equal measure, providing the viewer with a cinematic experience that is hugely entertaining and stimulating. Rediff.com reviewers Sukanya Verma and Aseem Chhabra call the film ‘a work of art’ and a ‘near-masterpiece’ respectively. 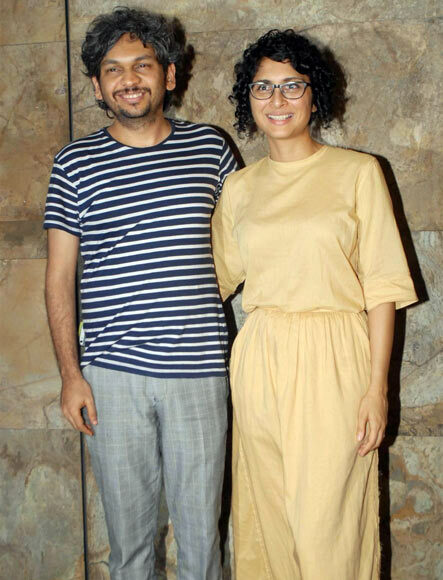 Filmmaker Kiran Rao, who also happens to be Aamir Khan’s wife, was so impressed by the film that she volunteered to distribute it and ensure its visibility. These are just some of the accolades that first-time director Anand Gandhi has garnered for his film, Ship Of Theseus, releasing on July 19. The movie has also garnered international accolades and won prestigious awards at film festivals. Ship Of Theseus is an anthology of three stories revolving an experimental blind photographer, an ailing monk and an enterprising stockbroker. Gandhi is a school dropout who went on to educate himself. His personal story seems strangely similar to that of Aamir Khan’s character, Rancho, in 3 Idiots. “I would enroll in various courses in different subjects. There were times when I would not enroll; I would just walk into a class and get permission from the professor to sit for the lecture. The 32-year-old director talks to Sonil Dedhia about his journey from being a writer for television serials like Kyunki… Saas Bhi Kabhi Bahu Thi… and Kahaani Ghar Ghar Ki to directing a feature film, and how Kiran Rao helped him by coming on board. You mentioned earlier that Ship Of Theseus has all the questions you have always asked since you were five. What were those questions? One day, I was attending a philosophy lecture. I scribbled some notes on a piece of paper and left it on the professor’s desk. Two days later, I saw photocopies of that note on the desk of all the other students. I felt proud and went up to the professor. Only when we ask the right questions can we begin to find relevant an­swers. Questions like “Where do I come from? What is my purpose? Is there free will? Where do we end and where does our environment begin? How responsible are we about our choices? What is the next stage of evolution go­ing to be? Can there be conclusive knowledge? I needed to find narratives and situations that could become vehicles for these questions. That’s really how the whole idea of the film began. 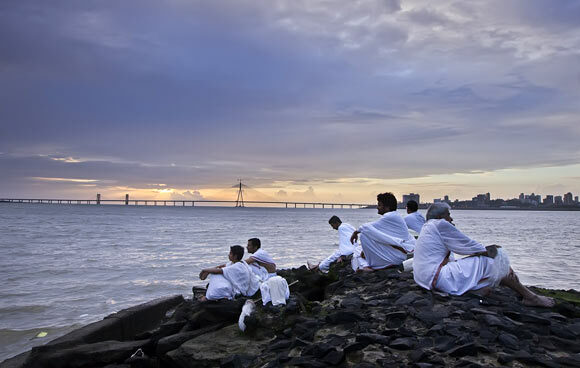 Many moviegoers have said Ship Of Theseus as thought-provoking and intelligent. (Interrupts) I will say something I haven’t told anyone so far. When I was a kid, my mother would sing a song called Tere nainon ke main deep jalaoonga from the movie Anurag (1973), starring Vinod Mehra and Moushmi Chaterjee as a blind girl. In this song, Vinod Mehra becomes Moushmi Chaterjee’s eyes and ‘sees’ for her. She points out to various things like a temple, a mountain, garden and he explains what they are. ‘Woh saagar hai (It’s the sea),’ she replies. ‘Ek naiyya hai (There’s a small boat),’ she replies. I used to find this line really interesting. Although she is blind, she uses her other heightened senses. Had I not been exposed to this thought so early in life, my approach to the blind photographer’s story in my film would have been very different. For me, the photographer’s lack of sight is not the novelty; I have taken it for granted. I hope the audience understands that she is able to perceive the environment through her heightened senses. Thirty years ago, a song in a Hindi film had already said it. My point is that the smallest and simplest things make a really big contribution to our lives. Every debutant director wants to show his or her personal experiences in their film. Was this true for you too? There are various inferences from my life in the film. During the four years I worked on Ship Of Theseus, I was also spending a lot of time in a hospital nursing my grandmother. The story of the stockbroker has the backdrop of his relationship with his grandmother, who is an extremely sophisticated and progressive lady. She has played in Mahatma Gandhi’s lap and participated in India’s Independence fight. 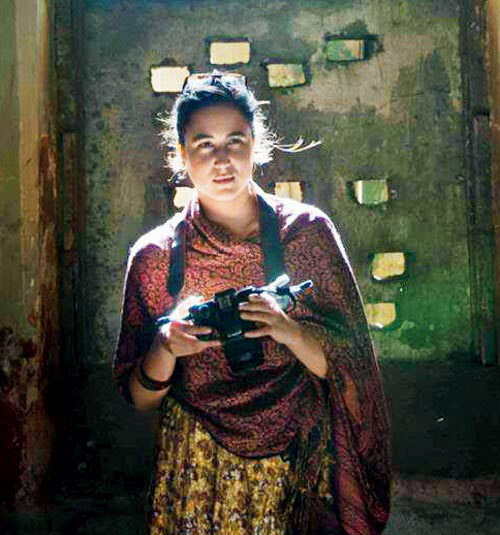 How did Kiran Rao end up presenting your film? Cameron Bailey (the artistic director) of the Toronto International Film Festival had seen the rushes of my film. He asked if I would be seeking a distributor for India. My first response was that I didn’t know if I wanted to meet anyone. I was sceptical. He said Kiran Rao and Aamir Khan were his friends and they would be interested in watching the film. He wrote an email to Kiran but it took a while before I could finish the film and for Kiran to watch it. When she finally did, she told me it was one of the greatest film experiences she’s had in her life. She was ready to help in any way possible. I asked her to come on board and take Ship Of Theseus on. The whole aesthetic of the movie has changed once Kiran Rao came on board. Kiran has already established a connect with the audience. Over the last few years, she has produced, directed and been part of some great films. She has interacted with a huge number of people in a committed way. She has travelled across the country, carrying her films around. Kiran has been a great boost for Ship Of Theseus. If she hadn’t taken it up, the film wouldn’t have had the release it is having now. You have often voiced your opinion against commercial cinema. Would you ever think of making a commercial film? No. I would love to make films which show the ground reality. (Laughs) I can only defend myself by saying that I was just 19. I enjoyed writing for those shows (he also wrote for Kahaani Ghar Ghar Ki) even though I knew it was unhealthy crap that was detrimental to our culture. I feel embarrassed when people come and talk to me about it. Our company Recyclewala Films is producing a film called Tumbad. Sohum Shah (lead actor, Ship Of Theseus) is playing the lead again. Rahi Barve will direct the film. Tumbad is a period horror drama that will use a new visual language to transcend geographic boundaries. We are also making two documentaries and planning a web series.